This page contains all the articles that were uploaded in August 2008, chronologically sorted, from old to new. Most browsers have a search function (Ctrl-F) that will highlight the word you are looking for. Iggy dancing at The Crom. 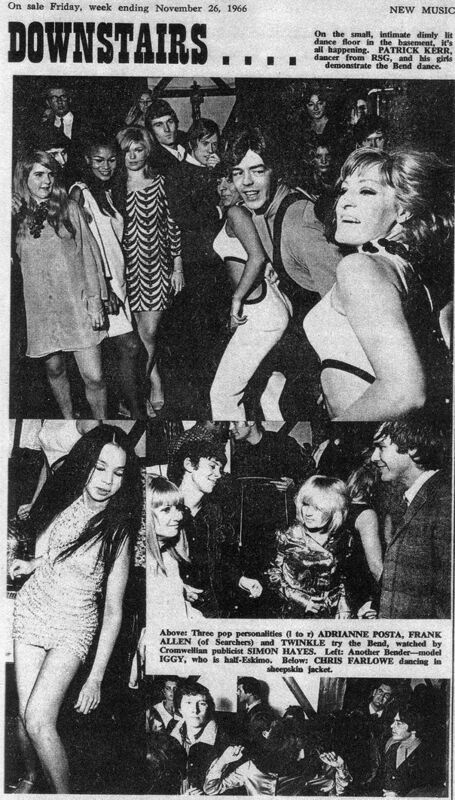 Several Floydian sources publish a scan of a NME (New Musical Express) article from November 1966, featuring Iggy, dancing on a party. Most of the time the date is cited as Wednesday the 16th of November, but the scan of the magazine shows a different date that of Saturday the 26th of November. As NME appeared every Friday the article probably appeared in issue 1037 (of Friday the 25th of November). Of course there is always the chance that the actual pictures were taken on Wednesday the 16th. On the small, intimate dimly lit dance floor in the basement, it's all happening, PATRICK KERR, dancer from RSG, and his girls demonstrate the bend dance. Above: Three pop personalities (l to r) ADRIANNE POSTA, FRANK ALLEN (of Searchers) and TWINKLE try the Bend, watched by Cromwellian publicist SIMON HAYES. Left: Another Bender - model IGGY, who is half-Eskimo. Below: CHRIS FARLOWE dancing in sheepskin jacket. The party in question was held at The Cromwellian (3 Cromwell Rd, London SW7). The Crom, as it was generally nicknamed, opened in 1965 in Earls Court, was a three-floor cocktail bar and discotheque and one of the posher (and more expensive) places to be. It was also one of the places for a would-be star to be discovered (or at least they believed it). The basement described itself as ‘England’s Famous Discotheque (and restaurant)’ where pirate station DJs and well-known bands as Georgie Fame and Zoot Money performed. The ground floor had ‘Harry’s International Bar (and restaurant)’, promising the ‘greatest atmosphere in town’. Upstairs was a gambling area, an ‘Elegant Casino’, where you could try your luck at dice – roulette – black jack – pontoon and poker. Successful musicians, photographers, fashion designers, artists, television personalities (and the odd East End gangster) would hang out at The Crom, where the new m’as-tu-vu elite could enjoy a glass of champagne without being disturbed by obsessive and pushy fans. Ray Davies remembers it as the ideal place to ‘observe the almost endless supply of dolly girls parading in mini-skirts’. Probably the fact that there was ‘free entrance for girls’ helped as well. 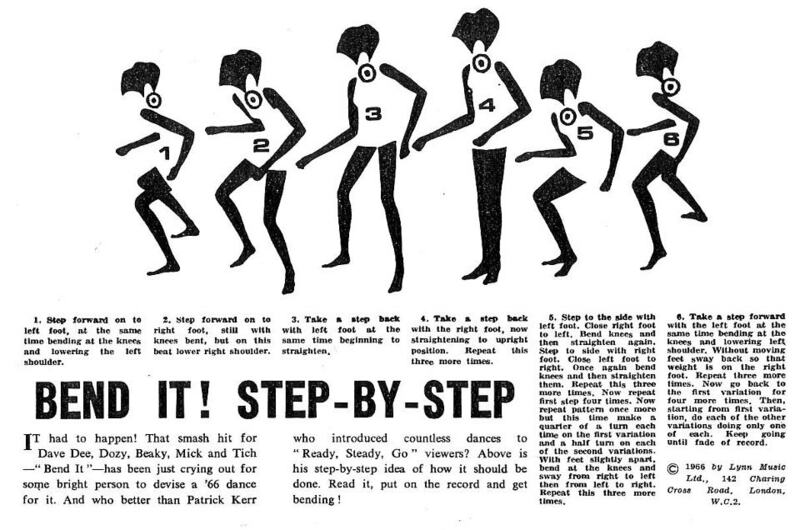 No wonder that The Crom was chosen by Patrick Kerr, one of the choreographers of the Ready Steady Go! TV show to present the new dance of the week: the Bend. (Probably he already knew that the RSG! show would end a couple of weeks later.) The Bend was named after the risqué Dave Dee, Dozy, Beaky, Mick & Tich hitsingle Bend It! that had been released in September. According to NME a new version with a different set of words had to be recorded for the US market. Update July 2010: the story behind the Bend craze can be found in the following article: Rod Harrod remembers The Crom. Update October 2012: the Bend link at Sixties City seems to be broken, so here is an alternative: the Bend. Adrienne (with an E) Posta (or Poster). An actress (and singer) who would have a prominent role in the forthcoming movie Here We Go Round the Mulberry Bush (1967). In the next decade her sheepdog would become world-famous, posing for a Dulux paint advertisement campaign. 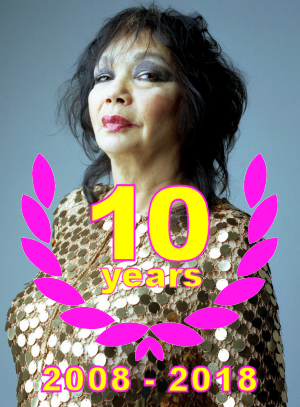 This also led to the single ‘Dog Song’, written by her husband rockstar Graham Bonnett (The Marbles, Rainbow, Alkatrazz). Frank Allen who joined The Searchers in 1964 and is still with them today. Chris Farlowe, one of Britain’s earliest exponents of R & B, had been struggling until his 1966 version of Think (Jagger & Richards) made it into the top 20. His following single Out Of Time (also a Rolling Stones tune) became number 1 and Farlowe was voted Best New Singer for 1966, although he had been performing since 1957. What was Iggy doing at The Cromwellian when Patrick Kerr demonstrated the Bend? Who invited her to the spectacle (knowing that the press was also invited)? Was she somehow connected to the RSG show (as a dancer, a model or a figurant)? Was she somehow connected to The Cromwellian? Was she somehow connected to Simon Hayes and/or his PR company? What about singer/actress Adrienne Posta, one hit wonder Twinkle and superstar Chris Farlowe? Was her aim to be discovered by a RSG! talent scout (perhaps not knowing that these were the last weeks of the show)? 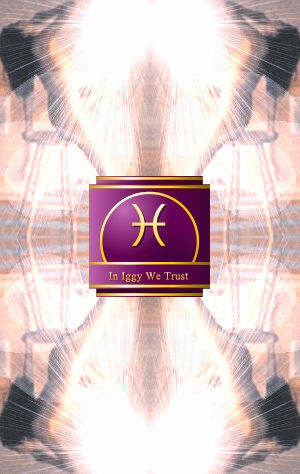 The Holy Church Of Iggy the Inuit will continue to investigate this. Bacon, Tony: London Live, Balafon Books, London, 1999, p. 74-75. McAleer, Dave, Beatboom!, Hamlyn, London, 1994, p. 93-94 & p. 126-127. Platt, John: London’s Rock Routes, Fourth Estate, London, 1985, p.137-139. Tobler, John (editor): NME Rock ‘N’ Roll Years, Hamlyn, London, 1992, p.163. Direct link: Bend It!. Posted on 2008-08-08 at 16:58. Iggy shopping at Granny Takes A Trip. Tailor John Pearse, graphic artist Nigel Waymouth (and girlfriend Shelagh York) opened Granny Takes A Trip in 1965. At the entrance was some lettering reading ‘one should either be a work of art or wear a work of art’. Granny Takes A Trip was the first multisex boutique selling miniskirts, op art shirts, garments in loud florals and paisleys… Perhaps more of importance were the second hand ornaments: flapper dresses, Victorian bustles, Boer War helmets, antique military jacquets, Chicago gangster suits, fezzes, turbans and other ‘cleaned and darned exotica’. Nigel Waymouth: "I was with this girl at the time and she used to collect old clothes. We thought that it might be a good idea to open a shop with all these things. (…) Of course it was terribly vain." The Granny T-a-T boutique was known for its outrageous decoration. The entrance of the shop changed a few times: in the early days it had a mural of a North American Indian, in 1966 (probably) it was replaced by a pop art picture of Jean Harlow and at a later stage a real Dodge (well, part of it) was pop-artistically glued to the wall. "The underground was exactly the same as everything else: there were rich people and there were poor people. It was class ridden. There was no working class in the underground because nobody did any work." (Cheryll Park, art-student). 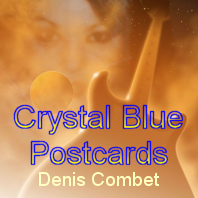 "The underground had a star system exactly as did pop music and films and everything else." (Andrew Bailey, journalist Variety, Rolling Stone UK). The press that cherished Swinging London reported vividly about the so-called mundane settings (shops, bars and restaurants) visited by working class heroes such as Michael Caine and Twiggy. The sudden press attention made the flower power movement mushroom and disappear in a couple of months time. 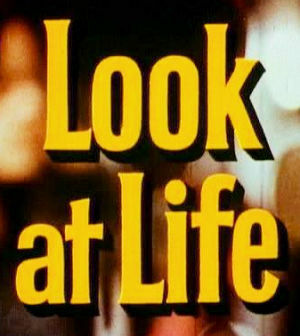 Look At Life was a series of short documentaries about British life, made by Rank Organisation and shown in the Odeon and Gaumont movie theatres. Between 1959 and 1969 over 500 tongue-in-cheek episodes were made. One particular episode from 1967, called IN Gear, narrated by Michael Ingrams, deals with several Swinging London shops and clubs. It's the swinging London fashion scene on parade and features an eye-candy array of dazzling & colourful mod fashions! Suits, shirts, pants, shoes, boots, jackets, dresses, belts, bags, hats, caps, ties, skirts, blouses, scarves, dickies, and more! Mary Quant shows off her latest collection! The viewer is taken to King's Road, SOHO, and Carnaby Street. Some of the shops visited are: "Granny Takes a Trip," "Hung on You," "The Antiques Supermarket," "I Was Lord Kitchener's Valet," and "Gear." The narrator tells us that, "A year or two ago fashion originated in the haute couture's of Paris, then spread downward through society in ever cheapening copies; now these shops which would have interpreted the mould, originate today's fashion, owing nothing to Paris or anyone else." When Late Night member dollyrocker watched this particular episode on YouTube he recognised a familiar face at 1:43. The girl who visits the Granny Takes A Trip shop is none other than Iggy the Eskimo. This probably means that she was hired by the makers of the documentary as an actor for the movie and further proof indeed that she was a professional model. Unfortunately the credits have been cut of from the YouTube video and I’m not sure if they appear on the Swinging London DVD it was taken from (unfortunately the DVD is out of print and its editor DD Home Entertainment is out of business). We don’t know exactly when the documentary was made but as another shop, Biba, moved somewhere between March and September 1966 to Kensington Church Street, and that location is shown in the movie, one can deduct that the movie dates from summer 1966 - spring 1967.
Who hired Iggy for the documentary? What agency did she belong to? A gallery with screenshots of the movie can be visited here. Green, Jonathon: All Dressed Up, Pimlico, London, 1999, p. 80-81. Levy, Shawn: Ready Steady Go!, Broadway Books, New York, 2003, p.190-191. Direct link: IN Gear. Posted on 2008-08-16 at 11:53. Moviemaker Anthony Stern, who knew Iggy before she met Syd, has confirmed that the person at the Granny Takes A Trip boutique on the IN Gear movie is indeed her. On his turn he will present a home movie called Iggy, Eskimo Girl at The City Wakes festival in Cambridge. 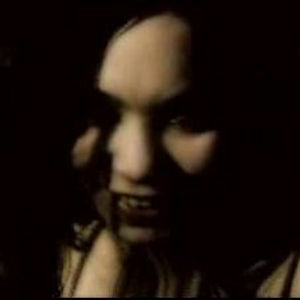 A short teaser can be found on YouTube. 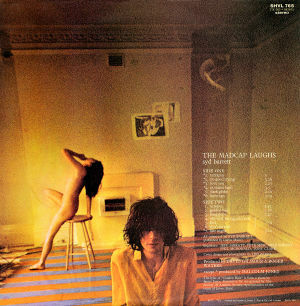 It could be that the scratches on the picture were destined at Iggy, but why did Syd Barrett scratch (more or less) around her figure? Not (and I hope my shrink will never read this) her face or body, in my garbled opinion the logical thing to do if one would try to express negative or revengeful feelings on a photograph. Syd’s body and face is far more scratched than Iggy’s and Barrett also cut the letters SYD on the picture... Perhaps he was just trying to make clear to Mick Rock that he wanted to get rid of his pop-life alter ego. 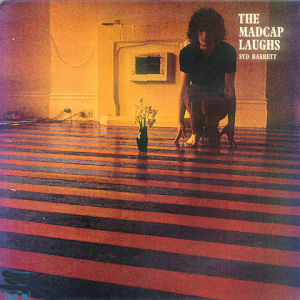 Mick Rock writes further that he heard from Duggie Fields, the painter who was Syd Barrett’s roommate and who still lives in the same apartment today, that ‘she later went off with some rich guy in Chelsea and lived a very straight life’. Although scarce the above information is about the most relevant we have had from a biographer in about 30 years. The most famous dancehall in Purley was the Orchid Ballroom where The Who, The Troggs and The Hollies gigged a couple of times. It started as a regular dance hall (and concert and sporting events hall) in the Fifties and had a local house band The Jackpots in 1963 and 64. In the mid Sixties (1964 – 1966) the Orchid Ballroom was the meeting place for the Croydon mods who would assemble every Monday night. Witnesses remember Mike (?) Morton, Tony Crane, Jeff Dexter and Sammy Samwell spinning the records. Pete Sanders and Mickey Finn used to be part of the crowd. Not all these names ring a bell. 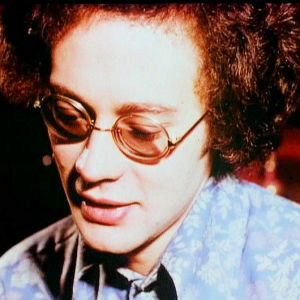 I could not trace back Mike Morton, but Lionel Morton was the singer and lead guitarist from the Four Pennies who had a hit in 1963 – 1964 with Juliet. Tony Crane was a member of The Mavericks, a band that became famous when they changed the name to The Merseybeats, later The Merseys (David Bowie would cover their Sorrow on his Pin-Ups album, a tune they had borrowed from The McCoys). 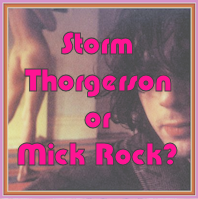 Mickey Finn could be the man who was the drummer of T. Rex and who also played on the record made by Hapshash and the Coloured Coat, the people who were behind the Granny Takes A Trip boutique. Another witness recalls how Cathy (Mc Gowan), the queen of the mods and presenter of the ever popular Ready Steady Go! Show, came to the Orchid Ballroom to spot for dancers to appear in her show. Seen the fact that Iggy was present at an RSG!-party, organised by the show's main choreographer, it is not improbable that she may have been present at some RSG! television-shows as well, as a dancer or as a pretty face in the public. A book about the history of the Orchid Ballroom has been made and the Church will try to contact its author, there is the (very small) chance that Iggy is mentioned in it. Update August 2009: Brian Roote, who studied the history of The Orchid confirmed later to the Church: 'I have no knowledge of this girl whatsoever'. An image gallery with stills of the Iggy, Eskimo Girl movie. McAleer, Dave: Beatboom!, Hamlyn, London, 1994, p. 57-59. Rock, Mick: Psychedelic Renegades, Plexus, London, 2007, p. 20. Direct link: Shaken not stirred. Posted on 2008-08-30 at 12:16.